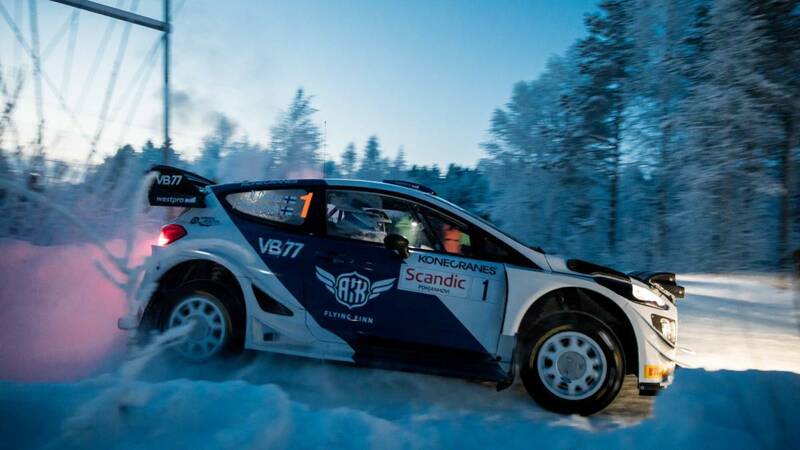 The driver of the Mercedes team of Formula 1 was premiered in the snow with a Ford Fiesta WRC in Rovaniemi. Test passed for Valtteri Bottas in its rally debut. The Mercedes Formula 1 driver made his debut this weekend at the Arctic Lapland Rally, the first round of the Finnish Championship, which took place on the snow around Rovaniemi . At the wheel of a Ford Fiesta WRC, the Finn finished fifth. Bottas competed co-driven by the two-time world champion in 2000 and 2002, Timo Rautianen, regular partner and brother-in-law of Marcus Gronholm, at the wheel of a Fiesta similar to those of the official team of the Mundial, the vehicle with which Sebastien Ogier has won his last two titles. After suffering some scare in the preliminary trials, began the test with caution, with a seventh and ninth place in the first stages, but then went back to the fifth, which remained until the end. He won one of the special stages, the shortest in the competition. The victory went to Emil Lindholm, the son of a Finnish driver who is Gronholm's cousin at the wheel of a Volkswagen Polo R5. The four pilots who finished in front of Bottas were driving vehicles of this category, lower than the one of the 'world rally car' used by the Formula 1 driver. Mika Salo, who was a Ferrari driver in F-1, who came back from the placed 43rd to the eleventh final position behind the wheel of a Skoda Fabia R5.